Hematomas are one of the most frequently reported complications in aesthetic surgery. Risk factors predisposing to postoperative bleeding and hematoma formation have been previously identified and include gender and smoking status, hypertension and malignancy, anticoagulant medications, surgical and anesthetic techniques, as well as postoperative management. In an effort to impact the incidence of hematoma formation following facelift, Auersvald and Auersvald developed a novel technique to eliminate hematoma formation in the early high-risk post-operative period. The application of a hemostatic net to all areas of skin elevation closes the dead space, negating the potential of expansive bleeding. The hemostatic net has proven to be a safe and effective method to prevent hematoma in the early post-operative period. The technique also enhances the surgeon’s ability to accommodate severely lax cervicofacial skin. Hämatome sind eine der häufigsten Komplikationen in der ästhetischen Chirurgie. 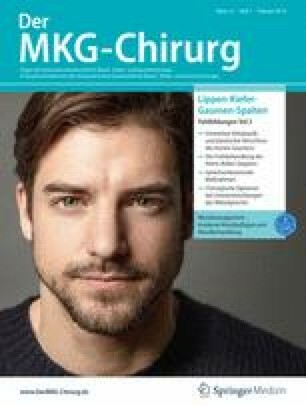 Zu den bereits identifizierten Risikofaktoren für postoperative Blutungen und Hämatombildung zählen das Geschlecht und der Raucherstatus, Hypertonie und maligne Erkrankungen, die Einnahme von Gerinnungshemmern, Operations- und Anästhesieverfahren sowie das postoperative Management. In ihrem Bemühen, die Inzidenz der Hämatombildung nach Facelift zu senken, haben Auersvald und Auersvald ein neuartiges Verfahren entwickelt, mit dem die Entstehung von Hämatomen in der frühen Hochrisikophase nach Operation unterbunden werden soll. Durch Einsatz eines hämostatischen Netzes in allen Bereichen mit Hauterhebung wird der Totraum geschlossen, was potenzielle ausgedehnte Blutungen unterbindet. Das hämostatische Netz hat sich als sicheres und wirksames Mittel zur Hämatomprävention in der frühen postoperativen Phase erwiesen. Zudem erleichtert das Verfahren dem Chirurgen die Versorgung von sehr schlaffer zervikofazialer Haut. T.G. O’Daniel, A. Auersvald and, L.A. Auersvald declare that they have no competing interests. This article does not contain any studies with human participants or animals performed by any of the authors. For images or other information within the manuscript which identify patients, consent was obtained from them and/or their legal guardians.